Our backyard backs right up to woods, recently we purchased a bird feeder and as a family we have been enjoying watching the birds feed on our back deck. 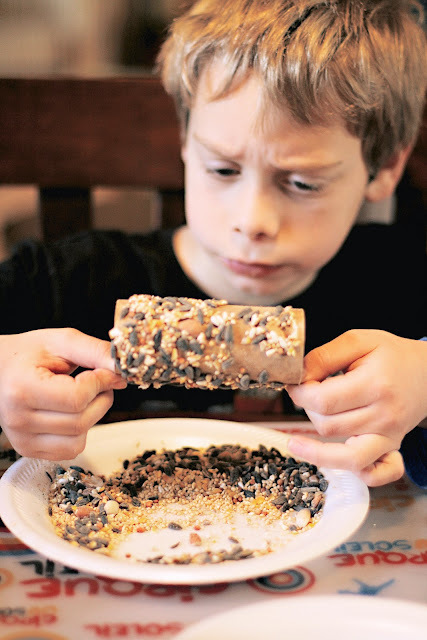 One rainy afternoon I pulled out some toilet paper tubes from the recycling bin and decided to create a craft with the boys. 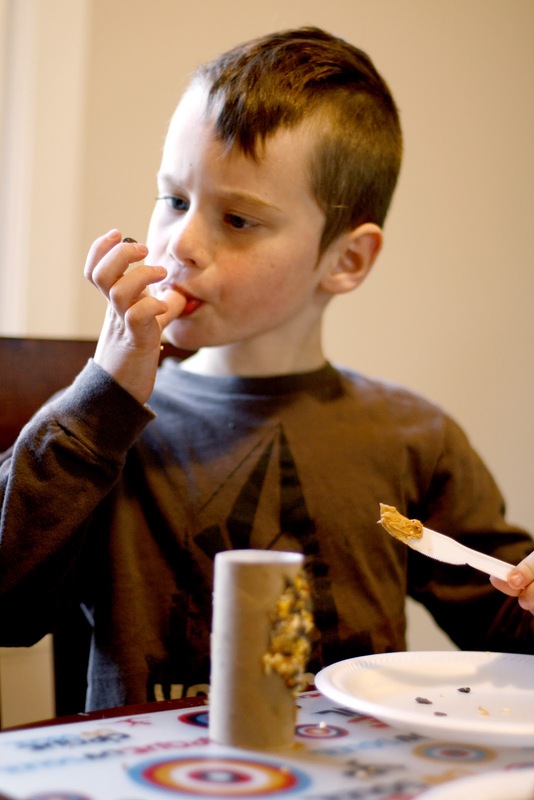 Any age child can do it with assistance and you probably have everything you need in your pantry. With plastic knives spread peanut butter on the outside of the toilet paper tube and then roll the tube on a plate filled with bird seed. It's that simple! My oldest son, who has sensory issues didn't enjoy the craft as much as I had hoped. He didn't like getting his fingers sticky and had a furrowed brow throughout much of the process. My youngest son on the other hand had to be reminded numerous times to not each the craft! Mere moments after putting the toilet paper tubes on branches in our yard, birds were all a flutter enjoying them. And finally a squirrel came along and decided to make one his own and pulled it right off the tree! The boys actually loved watching this squirrel and the amusement he provided. 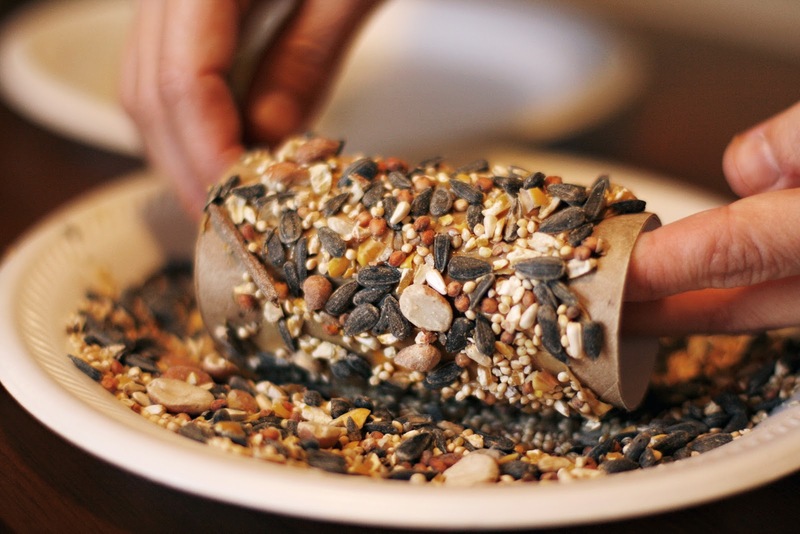 Try making your own toilet paper tube bird feeders this winter for the birds in your neighborhood. Odie! I've missed your comments, I hope you had a wonderful holiday. Happy new year as well! Thanks for reading.